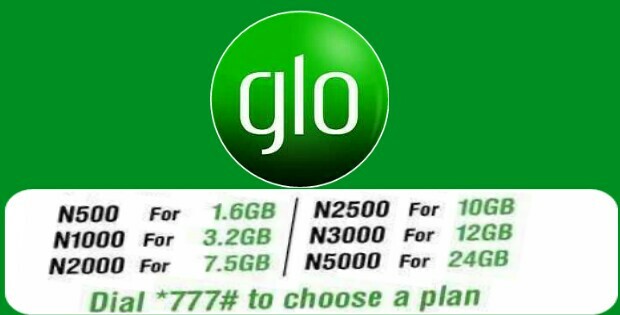 Glo Nigeria Data Plans: It is no longer new that Glo Nigeria has the most cheap internet data plans/Bundles among the telecom service providers in Nigeria and that’s why they are called; “The Grand Master of Data”, Do you agree with that boast? Honestly, the only thing I can testify about Glo Nigeria data plans is their poor coverage in some locations which makes it unbearable for some subscribers as they can’t browse, send text messages or make a phone call but despite that, those who are within the normal Glo coverage area are enjoying the glo unlimited data plans and also here are the latest glo data plans, Subscription Codes and Prices. Glo has variety of unlimited data Bundles of which you may get the best data volumes at your own preference. Their data plans range from flexi plans, daily, weekly and monthly. Glo NG offer much more data value for lower prices. Yes! 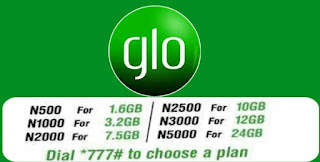 you can now enjoy all glo data subscription and enjoy double amount of data plan purchased upon renewing your current glo data subscription, To enjoy 100% bonus on each data plans you purchased, do ensure to auto renew your current data plan before it expires to get the best value at your own preference. Simply dial *777# and follow the prompts on your phone’s screen to subscribe or visit Glo self-care portal @ hsi.glo.com to buy or manage your data subscriptions. Note: These variety of data plans is applicable to all mobile devices using the Glo Bolt internet services. What are your thoughts on the Glo Data Plans?